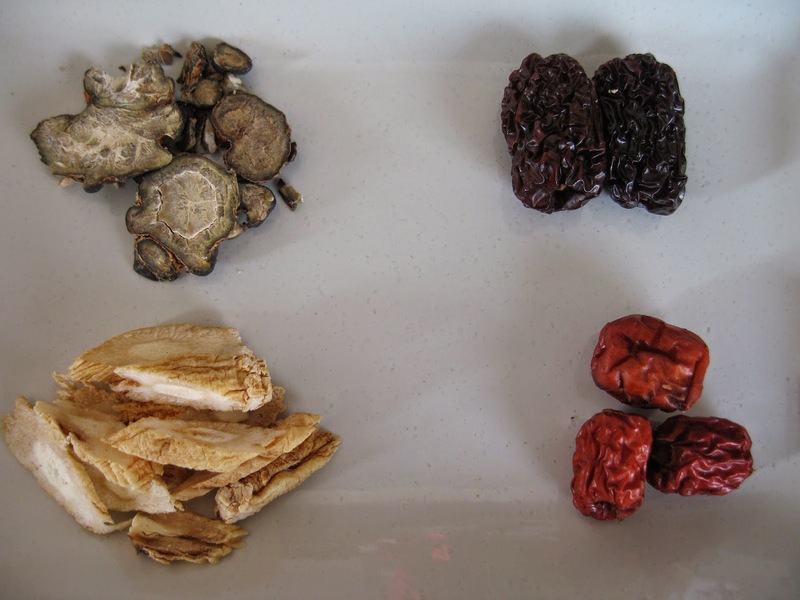 Chinese medical books often advise that natoginseng heals injury and disperses bruises caused by minor physical mishaps during sports or physical workouts. It helps to generate new muscles, increases platelets and accelerates growth in infants and teenagers. The elders in my family used to advise that if there are no bruises nor injury that need healing, then this herb does the work of nourishing and strengthening the body. It is especially good for accelerating growth in teenagers. Thus, I find these healing properties very suitable for my sons who are active in sports.The elder son loves to indulge in Thai boxing and is prone to injuries during practice, while the younger boy is an active teenager. 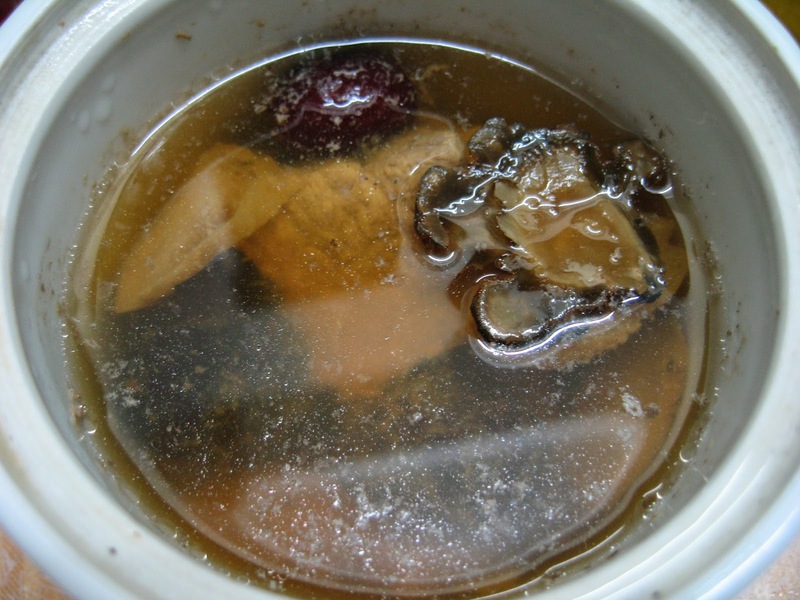 I believe this soup will help to disperse the bruises and will help to repair their torn muscles and generate new muscles for them. 1. 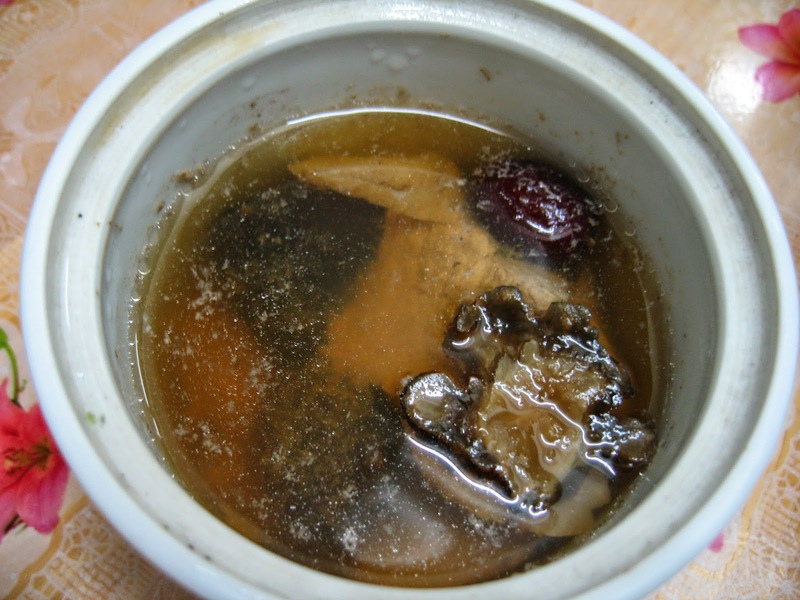 Place Chinese herbs and lean pork into a small ceramic or porcelain cup or container with a fitting lid. 3. Place container into a double boiler and allow to double boil for 2 hours. Such a wonderful soup for the family!